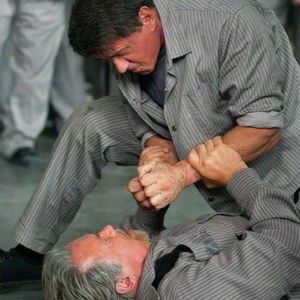 Summit Entertainment, a Lionsgate company, will debut the first lead pairing of action legends Sylvester Stallone and Arnold Schwarzenegger in the film Escape Plan at Comic-Con 2013. Sylvester Stallone and Arnold Schwarzenegger will host a screening of their upcoming film, Escape Plan, at the Reading Cinemas Gaslamp 15 on Thursday July 18th. Passes for the screening will be available through online giveaways, at the Summit Booth on the convention floor and via giveaway outside the screening location, the evening of the event, while supplies last. The fan line will open outside the theater (701 5th Ave.) at 5:00pm. Here fans will have another chance to score a ticket to the special screening and welcome Sylvester Stallone and Arnold Schwarzenegger when they arrive on the red carpet. Summit Entertainment's booth located within the Grand Hall will highlight Escape Plan. Exclusive premium promotional items will be distributed to the attendees walking the convention floor and visitors will have the opportunity to win fan screening passes throughout the day on Thursday, July 18th.